It sometimes feels like there isn't enough room for all the people in London (particularly on the tube at 8.15am), never mind adding dogs to the mix! However, our capital is home to so many beautiful green spaces and dog-friendly facilities that it can be the perfect place for man's best friend, depending on where you live. We've sniffed out the best parks in London to take a furry friend - but make sure you always double-check the lease if renting with a dog! Located in the North East of London, and nestled between a number of parks, Stoke Newington is a good option for dog owners who want great walks on the weekends and a decent commute during the week. The most awe-inspiring of these parks is certainly Abney Park, an overgrown garden cemetery with a haunted, ghostly atmosphere and a friendly attitude to dogs. 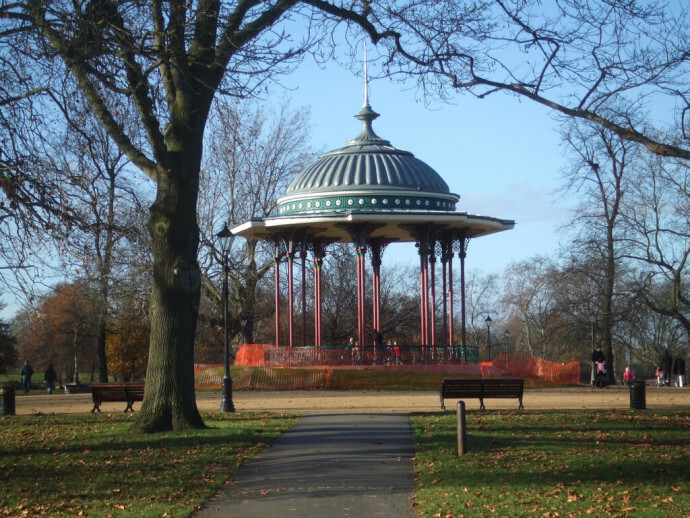 Just to the left of Stoke Newington is Clissold Park, which has a few dog-free areas but remains mainly unrestricted, while if you head less than two miles North West, Finsbury Park provides 115 acres of greenery and a dog-friendly cafe. Meanwhile, despite being in N16, great transport links mean that the City is only a 30 minute bus ride away, and while the tube has not yet reached Stoke Newington there is a train station. As the home of Battersea Dogs and Cats Home, Battersea was always going to be a canine-friendly area. Located on the Thames, Battersea Park is a dog’s paradise with plenty of open spaces and woodland areas across 200 acres. With Chelsea just over the river, this is the dog-walking spot for many of the West London Elite, so expect to see many well-groomed little dogs. There is even an online community for women with small dogs (www.ladieswithleads.co.uk) in nearby Kensington, if you want to bond with new friends over your Bichon Frise. Known to be popular with both families and young professionals (see our guide to Clapham), this area can also add 'popular with dogs' to the list, with the expansive Clapham Common charming even the most curmudgeonly of canines. It even has its own dog vending machine, where the dog must fetch and return a ball in exchange for a treat. The high number of dog owners in the area means there are plenty of dog walking services on offer, while Sociable Paws (www.dogpuppytraining.co.uk) can help you train an unruly puppy. Transport is also a big bonus to living in Clapham, with fast connections to Central London via the tube, overground and buses. 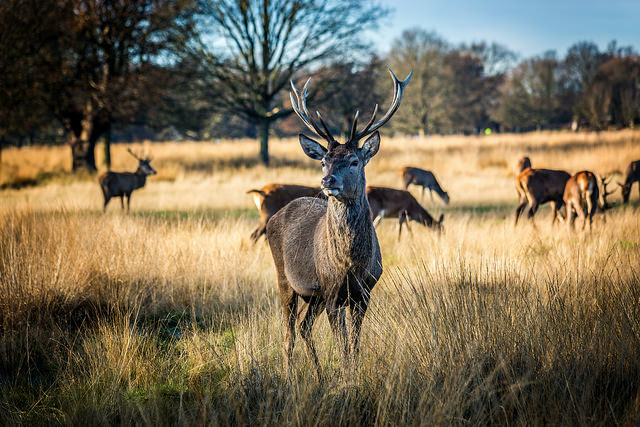 Not only does Richmond offer a charming riverside perfect for walks, it also boasts the enormous Richmond Park, filled with wild deer and dog walkers enjoying the vast acres of greenery. A video of a dog (Fenton) chasing the deer in Richmond Park even went viral, showing just how enjoyable this place is for man’s best friend (although Fenton may be a lesson in the practicalities of a dog lead). With trains to Waterloo taking just 20 minutes from Richmond station, both commuters and canines would be satisfied by life here. Just north of Camden, this quirky area is perfect for dog owners who want green space, but who don’t want to stray too far from Central London. With the tube and overground nearby, Central London is only a few stops away, but the proximity to Hampstead Heath means lots of green space for your dog to run around in. On weekends the place is awash with people and their pooches, meaning services such as dog walkers and groomers are plentiful in the surrounding area.